BAUER’s new PE-VE units are true all-rounders, designed for tough industry conditions. From the basic model upwards, they offer an extensive range of features plus outstanding value for money. 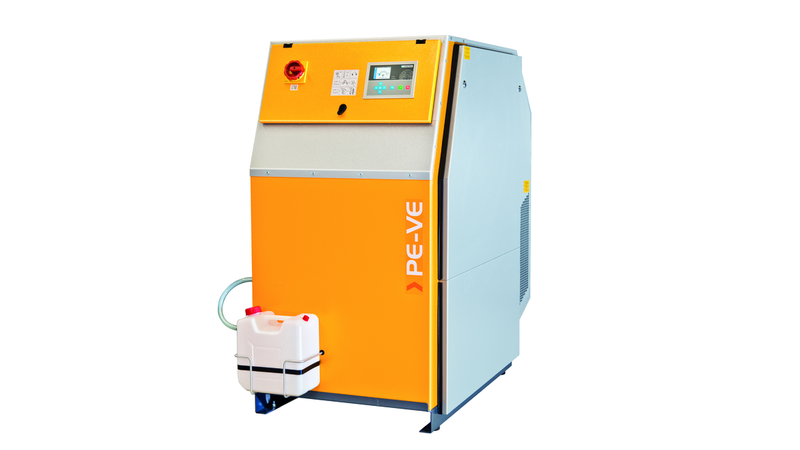 Available with a wide range of compressor options and extensive accessories, the PE-VE Series enables tailored solutions to be implemented for virtually all uses involving breathing air or nitrogen. The compressors offered in the series cover pressures from 90 bar to 420 bar and free air delivery up to 620 l/min - or as much as 750 l/min with booster models - depending on customers’ needs and requirements. The PE-VE Series SUPER SILENT models feature a sophisticated soundproofed design that reduces noise emissions to the minimum. A special highlight, the newly developed B-APP is an interface with the future. Teamed with the integrated B-CONTROL compressor control unit, the B-APP enables compressor systems to be controlled and monitored from a smartphone. A further new development is the patented B-DRAIN automatic condensate drain system, which ensures that oil/water condensate produced during compression is extracted energy-efficiently with minimum loss of pressure, low noise and low wear. The high-pressure compressor blocks are designed for reliability in continuous industrial use. Their legendary long life is based on quality right down to the smallest detail, such as the use of plasma-nitrided and plateau-honed cylinders and ultra-low-wear piston rings. To maximize efficiency and economy in operation, the compressor systems are equipped with energy-saving three-phase motors with IE3 energy efficiency rating as standard.